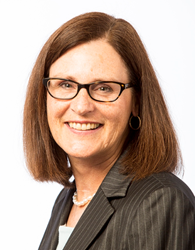 BRAC USA announces the appointment of Donella Rapier as its new President and CEO. “Donella is a great addition to the BRAC family, bringing talent, expertise and commitment to our work of ending poverty,” Sir Fazle said. BRAC USA, the US affiliate of BRAC, a global leader in creating opportunity for the world’s poor and the world’s largest non-governmental development organization, today announced the appointment of Donella Rapier as its new President and CEO. Donella will succeed BRAC USA founding President, Susan Davis, who completed ten years of outstanding service in December 2015. BRAC is a development success story, spreading anti-poverty solutions born in Bangladesh to 11 other developing countries in Asia, Africa and the Caribbean. Donella brings over 30 years of extensive experience in finance, fundraising and non-profit management to BRAC's US-based affiliate. For the past four and a half years, Donella served as the Chief Development and Administrative Officer at Accion, a pioneer and global leader in microfinance and financial inclusion, whose work spans nearly two dozen countries. Previously, she was the Chief Financial Officer at Partners In Health, a global healthcare organization working in remote places where healthcare alternatives are limited or otherwise nonexistent, such as Haiti, Rwanda and Malawi. Prior to that, Donella spent more than a decade in senior leadership roles at Harvard University, including Vice President for Alumni Affairs and Development and Chief Financial Officer for Harvard Business School. Donella received her MBA from Harvard Business School. She began her career at Price Waterhouse. Sir Fazle Hasan Abed, the Founder and Chairperson of BRAC, applauded the appointment. “Donella is a great addition to the BRAC family, bringing talent, expertise, and commitment to our work of ending poverty,” Sir Fazle said. Donella will join BRAC USA full time in July 2016. BRAC is a global leader in creating opportunities for the world's poorest people. With more than 115,000 employees, it is the largest non-governmental organization, touching the lives of an estimated 138 million people in 12 countries with a wide array of poverty alleviation programs, including microfinance, education, healthcare, women's empowerment, legal rights training and more. To learn about BRAC, visit http://www.brac.net. Formed in 2006, BRAC USA is an independent, US-based affiliate of BRAC that advances and supports BRAC's global mission to end poverty. Learn more at http://www.bracusa.org.